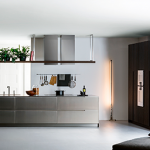 The concealed kitchen area is hybridized with the living area. 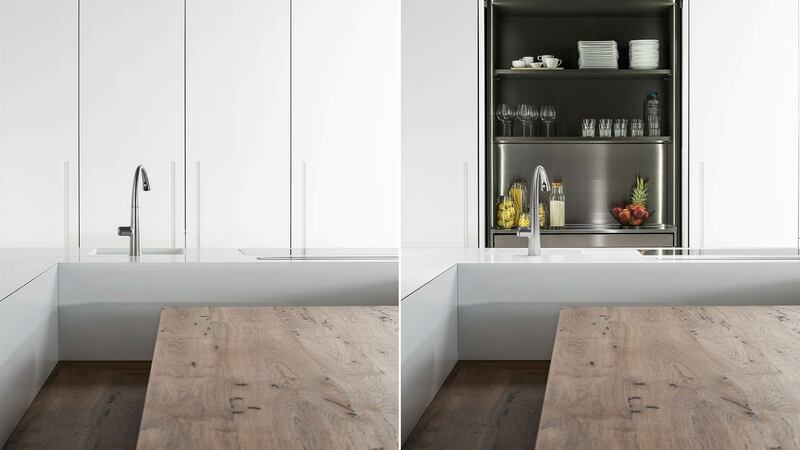 A kitchen dedicated to banquets: the large U-plan island supplements a table with corner benches on three sides, both built from fine Briccola timber originating from mooring posts for ships in Venice. 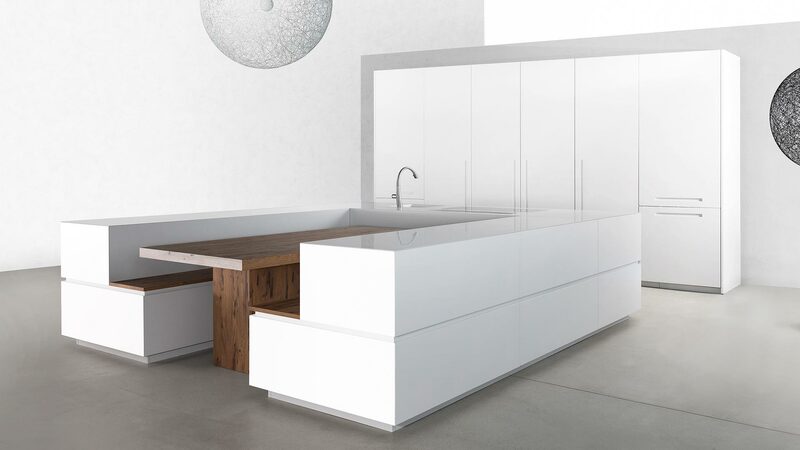 The whole island has been created based on the T45 Evo concept with an opaque white finish and Corian top. 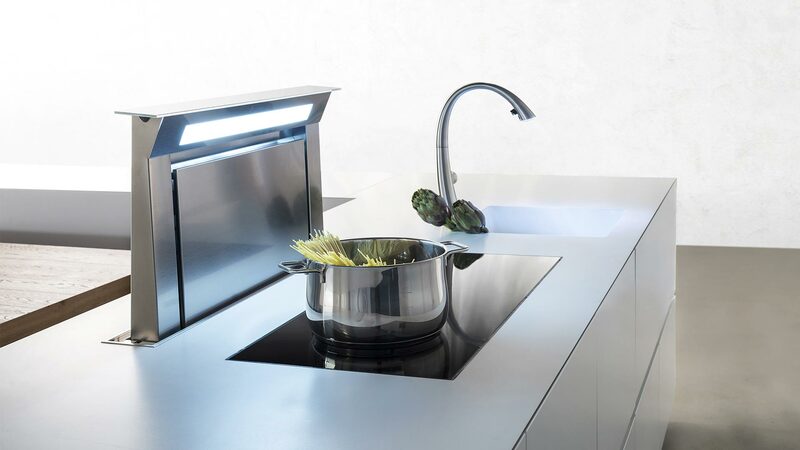 Its short side includes a sink, induction stove and extractor hood that can be extracted vertically and which disappear flush into the work bench. 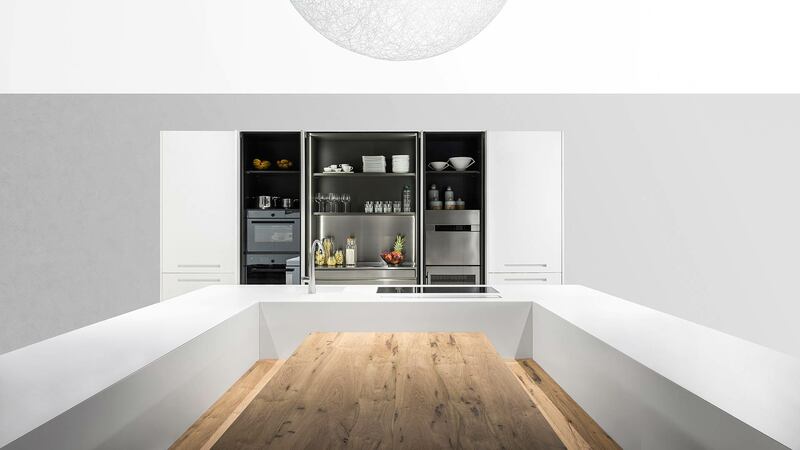 The columns, built on the G180 concept, are equipped with foldaway doors and are fitted with all the electrical appliances, from the refrigerator to the oven, in addition to sleek storage compartments with a charcoal grey finish. 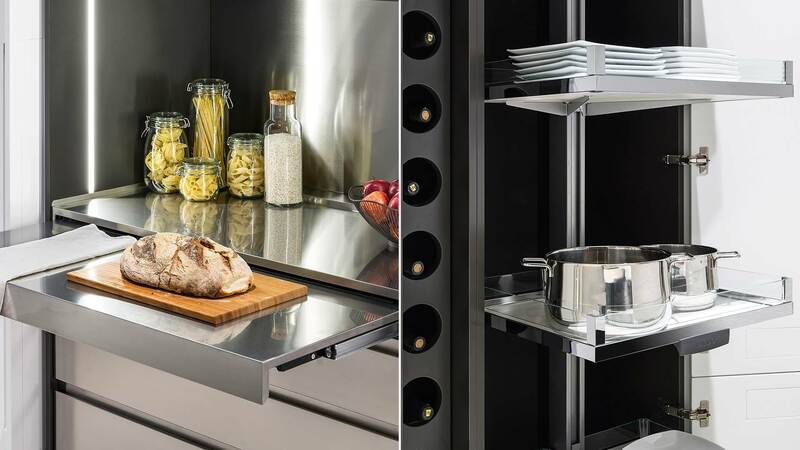 One of the internal spaces, designed for food preparation, is made from stainless steel with an extractable work surface. 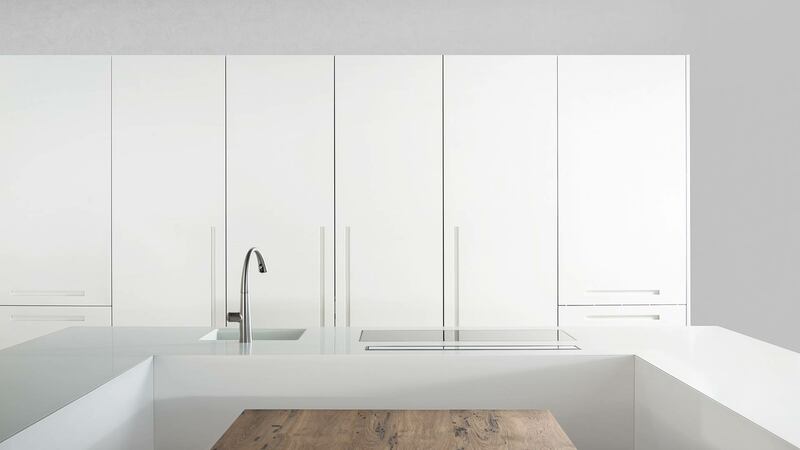 To keep the dimensions of the doors consistent, the columns are equipped with custom-made cellars to balance out the size variations of the internal fittings. 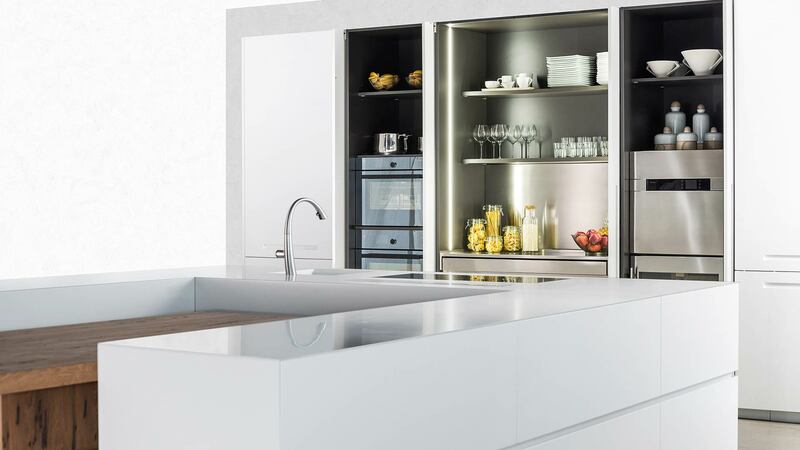 All the columns feature internal LED lighting built into the sides. 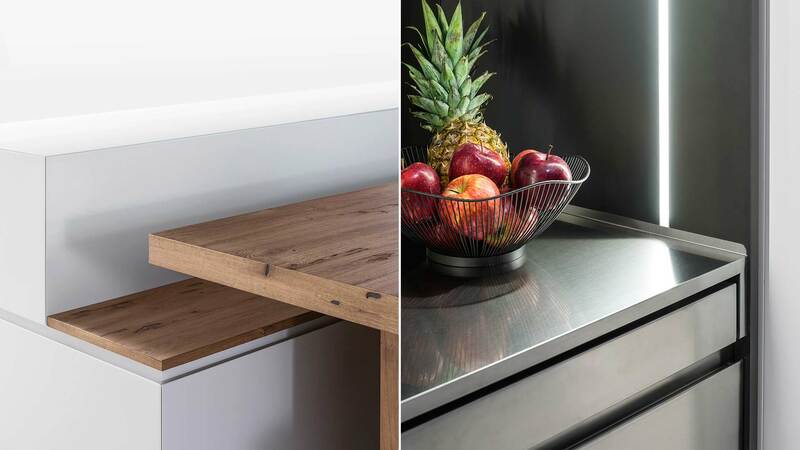 Outfitting solutions for the living area that ensure aesthetic continuity with the kitchen. The surface of the flush doors, which can be closed via a push’n’pull mechanism, is broken at intervals by open compartments clad in Briccola timber originating from mooring posts for ships in Venice. 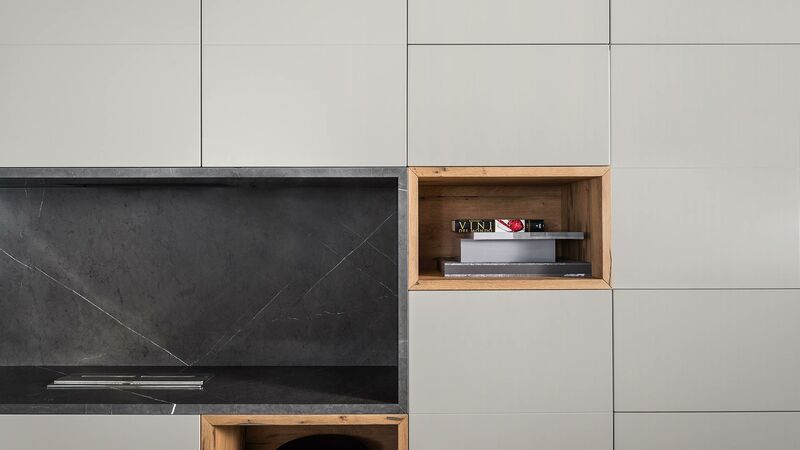 The largest open alcove is clad in Corinthian stone and houses a bioethanol fireplace. 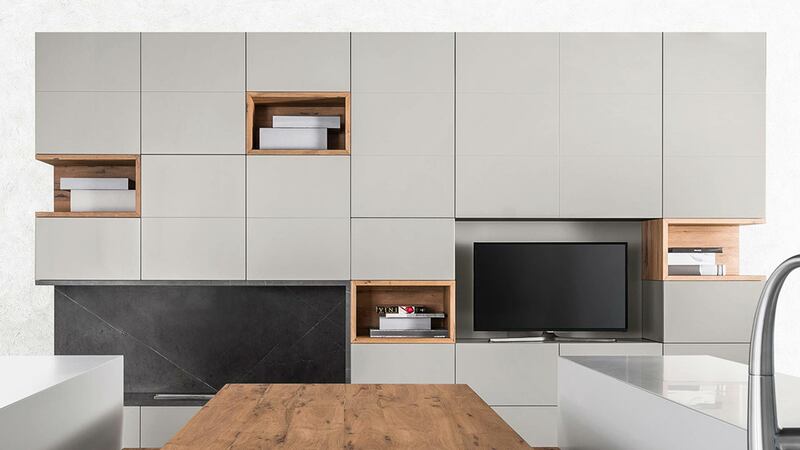 A second large alcove accomodates the home entertainment devices, concealed behind an electronically controlled motorized vertical foldaway door. 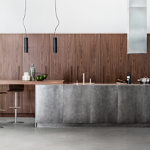 A light shade of grey with a velvety effect characterizes this TM Italia wall system, which has been developed on the D90 concept. 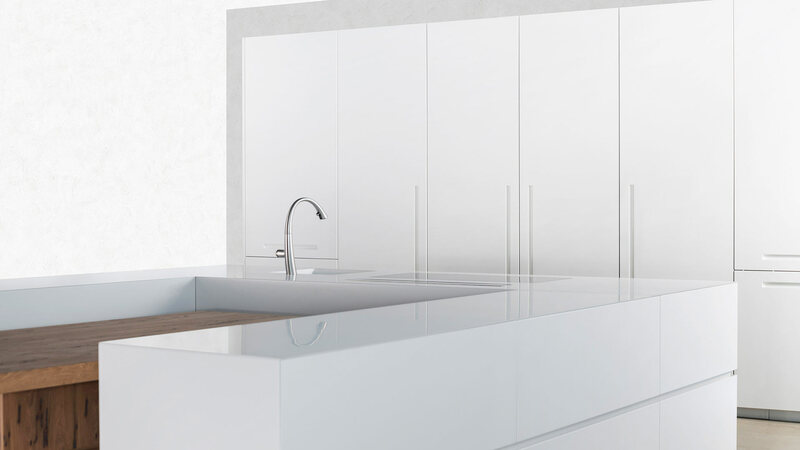 TM Italia has reserved you an exclusive space where you can find catalogues, design guides, product sheets on solutions and materials and unpublished image galleries.